Editor’s Note: There are two images associated with this release. Winning Brands Corporation (OTC PINK:WNBD) www.WinningBrands.com is launching a new program with fire departments, significantly improving the commercial outlook for Winning Brands’ ReGUARD4 bunker gear cleaner in North America. The impact of the new program will be to deliver 4 times as many benefits to fire departments from the single ReGUARD4 solution, significantly increasing convenience and value to firefighters. This will move ReGUARD4 to the leadership position in its field by technical performance. The program, in cooperation with select fire departments, is starting in the Montreal region effective immediately. The purpose of the program is to define protocols for the additional uses of ReGUARD4 that fire service personnel consider most beneficial in maintaining fire service assets. The resulting compendium of favorite uses, together with vetted procedures, will support marketing of ReGUARD4’s expanded official uses across the sector. The program is being co-ordinated for Winning Brands through the company’s new exclusive dealer for ReGUARD4 in the Quebec market., DSO – Distribution Sud-Ouest, www.dsoinc.ca. Quebec has approximately 700 fire departments and 23,000 fire fighters. ReGUARD4 material will appear on the DSO website in coming weeks, in stages. In North America there are over 25,000 fire departments and over 1 Million firefighters. 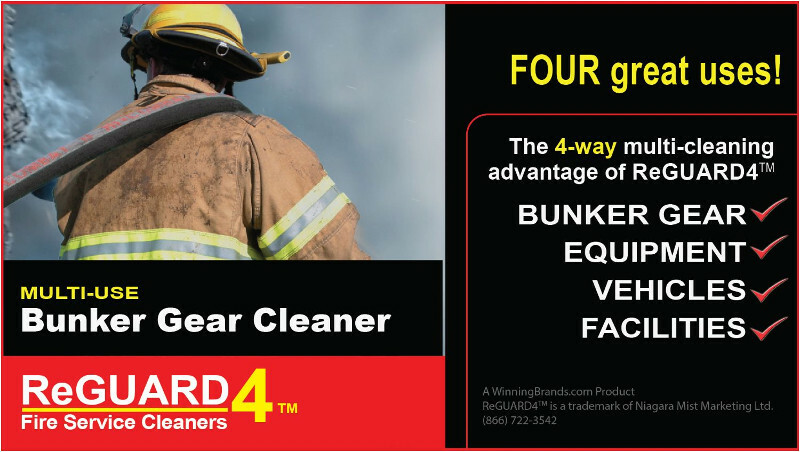 Before now, ReGUARD4 had been positioned exclusively as a bunker gear cleaner to remove fire-scene grime from protective garments worn by firefighters. Positive feedback from municipal fire services about broader usefulness of ReGUARD4 had been known anecdotally, but was not applied to marketing. Now, expansion of the official uses for ReGUARD4 is being made to include fire service equipment cleaning, vehicle cleaning, facilities cleaning and turnout gear cleaning. These additional types of maintenance are performed continuously, whether there are fires or not. ReGUARD4’s new “4-way multiple use” strategy increases ReGUARD4’s appeal to the fire services supply sector in USA and Canada, and the growing “disaster restoration” market, by delivering new convenience and value on top of performance. The new DSO program of cooperation with firefighters will specify and formalize these additional uses. Winning Brands is coming out of a quiet period during which it was assessing how to regain earlier momentum. A recently announced $1.5 million Tier I offering under SEC Regulation A will enable Winning Brands to take new steps to better support its existing brands. These brands will eventually include new items in launch partnerships with innovators whose inventions represent exceptional opportunities for public shareholders. Mr. Lehner maintains a CEO weblog for the benefit of shareholders at www.WinningBrandsCorporation.com/blog . It is a journal of the company’s mission, providing answers to many shareholder questions. It is a regular source of public information pertaining to the company pursuant to SEC Fair Disclosure guidelines. ABOUT WINNING BRANDS CORPORATION: Winning Brands is expanding its scope to include cooperative product launches with innovators whose projects can benefit from public company partnership. Winning Brands has previously been, and continues to be, a manufacturer of record for advanced environmentally oriented cleaning solutions such as ReGUARD4™ fire service cleaner, KIND®, 1000+™ Stain Remover, World’s Most Versatile Cleaning Solution™, and others through its subsidiary Niagara Mist Marketing Ltd by means of contract packaging. 1000+ is an alternative to conventional cleaning solvents for consumers because of its unique desirable properties; VIDEOS Link; WEBSITE Link . The versatility of 1000+ Stain Remover can be seen on FACEBOOK. 1000+ Stain Remover is available to U.S. NAVY personnel at 7 NEX depots in Japan, Spain, Italy and the Middle East; in the U.S. at HOME DEPOT (online), WALMART (online),DO IT BEST HARDWARE stores and many independent retailers. In Canada, the leading chain retailer is LOWES HOME IMPROVEMENT:. 1000+ Stain Remover is also available in select international markets including Australia, New Zealand, Indonesia, UK, Serbia and the Caribbean. TrackMoist, ReGUARD4 www.ReGUARD4.com and BRILLIANT www.BRILLIANTWetCleaning.com are industrial products by which Winning Brands serves specialized professional markets. Safe Harbor: Statements contained in this news release, other than those identifying historical facts, constitute “forward-looking statements” within the meaning of Section 21E of the Securities Exchange Act of 1934 and the Safe Harbor provisions as contained in the Private Securities Litigation Reform Act of 1995. Such forward-looking statements relating to the Company’s future expectations, including but not limited to revenues and earnings, technology efficacy, strategies and plans, are subject to safe harbors protection. 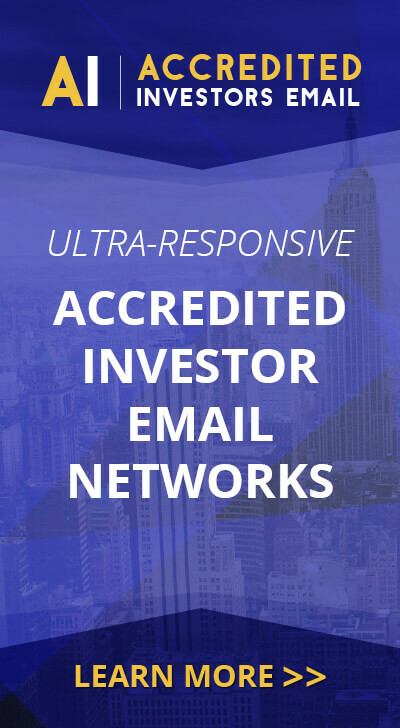 Actual Company results and performance may be materially different from any future results, performance, strategies, plans, or achievements that may be expressed or implied by any such forward-looking statements. The Company disclaims any obligation to update or revise any forward-looking statements.TrackMoist, 1000+, KIND, ReGUARD4 and BRILLIANT are trademarks of Niagara Mist Marketing Ltd in connection with indicated uses.